What do you say I just schedule this headline to automatically reappear once a year? Venezuelan state oil company PDVSA now projects 4 million barrels a day of output in 2015, down from last year’s plan for 4.46 million. Plans are to grow to 6 million bbl/day in 2019. It’s all pretty tricky, as PDVSA will need to come up with billions of dollars in oilfield investment, rather than spending every spare dime on housing and Ponzi schemes. We’ll see. I’d add more detail from today’s newly released financial reports, but PDVSA doesn’t see fit to share with the public on the web, instead handing out the financial report on paper to invited guests. I keep deleting the obscenities I am writing here, because this is a family blog. This entry was posted in Uncategorized on July 26, 2011 by Steven Bodzin. CARACAS, July 19 (Reuters) – The World Bank will hear an arbitration case requested by U.S. company Koch Industries after Venezuela’s President Hugo Chavez nationalized a fertilizer plant it owned with the OPEC nation’s state oil firm. On Tuesday, The World Bank’s investment dispute body ICSID said on its website it will form a tribunal to hear the complaint by two subsidiaries of Koch, one of the world’s largest privately owned companies. That makes 18 pending cases against the Bolivarian Republic, for those keeping count at home. My prior article about how Venezuela subsidized these famous Tea Party stalwarts. This entry was posted in Uncategorized on July 21, 2011 by Steven Bodzin. 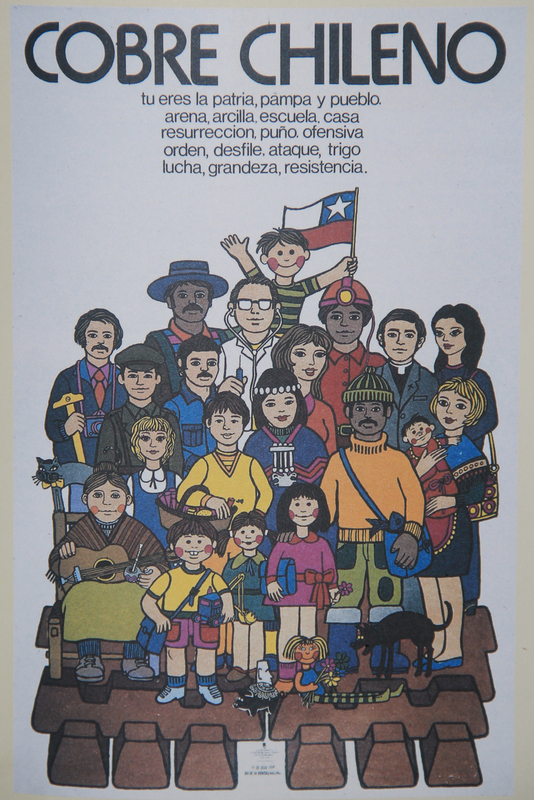 Today is the 40th anniversary of Chile’s nationalization of the copper industry. On the one hand, this overtly socialist act — giving the masses ownership of the means of production — may have been a death warrant for President Salvador Allende. On the other hand, it was so popular in Chile that Allende’s successor, General Augusto Pinochet, never dared re-privatize the industry. At least not officially. So why are there are so many private copper mines in Chile today? The national company, Codelco, continued to exist, but never grew. It stuck with its fantastic but aging properties. The company could never hang onto enough money to reinvest and enhance production, as cash was diverted to other government needs. 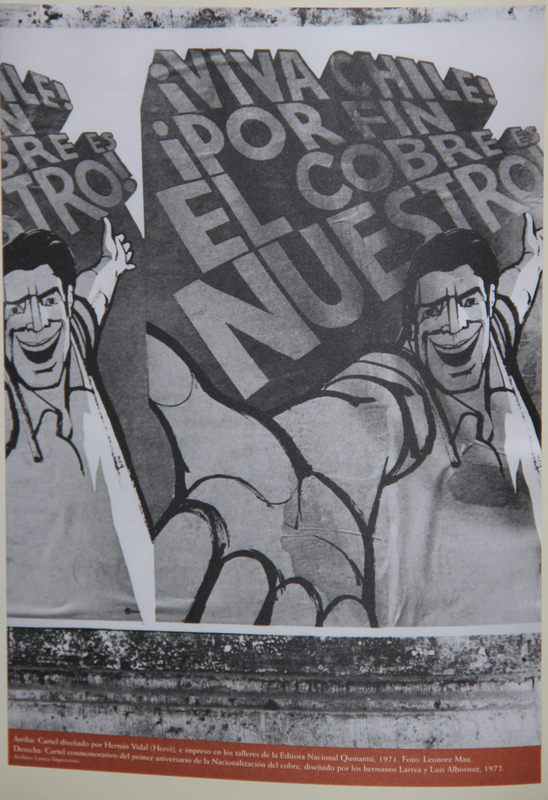 Pinochet began the process of inviting in private companies, both local and foreign, to invest in new mines. The process continues to this day. Still, nationalized copper remains a winning issue in Chile. For all of the country’s reputation as the right-wing bastion in South America, everyday people have an ingrained socialism. Remember, current president Sebastian Piñera is the first person to the right side of the spectrum to have won an election in this country since before Allende. It was 1958 or 1964 (depending on how you count left and right) the prior time a rightist party took the presidency in an election. Today, it’s a hot button once again. Student marchers are demanding nationalization, and/or higher taxes on private companies, to increase the education budget and bring back to Chile something that already exists in Mexico, Venezuela and many more Latin American countries: free higher education. They say, when the country was poor, education was free. Now the country is rich, and education is expensive. Obviously, Piñera won’t be the one to dramatically raise mine taxes or to embark on a Chavez-style frenzy of “¡expropiase!” But the demands are growing. Today at 5 am, some 15,000 union workers and 30,000 lower-paid contractors will strike at Codelco to protest the “undercover privatization” of the company. By all accounts much of their concern is fear of the private-sector mentality of company president Diego Hernandez, who was hired from miner BHP Billiton. The strike will also apparently be joined by students and public sector workers. The government is trying to stoke anti-strike sentiment (wow, a preemptive strike against a preemptive strike?) by pointing to the country’s financial losses from the action and the relatively high pay of mine workers. But I think with the students on their left flank, and wide public support for student demands, we could be seeing the bubbling up of a new wave of resource nationalism in Chile. This entry was posted in Uncategorized on July 11, 2011 by Steven Bodzin. -They make a sauce by pureeing a green plantain with peanut butter and spices and then use that on shrimp, stir-fried with chilis and other vegetables. That sounds delicious. -The national football team needs a bit of work. -It’s another one of those places where environmentalism is equated with terrorism. This entry was posted in Uncategorized on July 10, 2011 by Steven Bodzin. 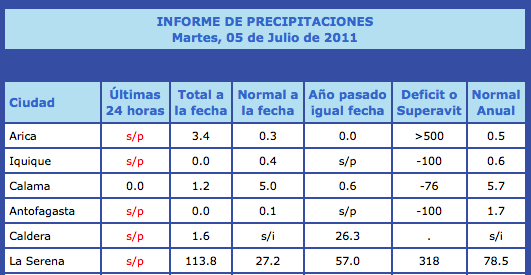 Arica gets an average of 1/2 a millimeter of precipitation a year, and this year has gotten a big 3.4 mm. In the Tarapacá region, there are almost 3,500 people displaced by flooding, of all things. Apparently it doesn’t take much to wreck the roads in a region where some spots haven’t felt a raindrop in 20 million years. This entry was posted in Uncategorized on July 6, 2011 by Steven Bodzin. Venezuela has achieved an important change in international estimates of its oil output. The International Energy Agency, an association of oil-consuming nations, has long been one of the groups with the lowest estimates of Venezuelan oil output. Plenty of observers have said the IEA number was too low, but as a very prestigious body, there wasn’t much anyone could do about it.